Shutdown automatically in a centos 7 server is a very easy task. It is possible to set shutdown operation at any time as per your need. 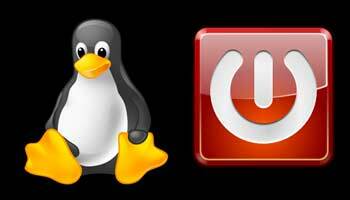 It is very helpful task while running any installtion or other processes in the system that could be finished during night time or unavailable time for the client.This article shows you how to set shutdown automatically. Execute following command to shutdown the system at 15:00, never forget timing will set in 24hr format. The system shutdown has been cancelled at Mon 2016-01-18 23:25:16 MSK! Also by setting cronjob, it is possible to shutdown the system automatically. Please make sure to remove the cronjob too. Varnish is a proxy and cache, or HTTP accelerator, designed to improve performance for busy, dynamic web sites. By redirecting traffic to static pages, varnish reduces the number of dynamic page calls, thus reducing load. Varnish is designed for content-heavy dynamic web sites as well as heavily consumed APIs. In contrast to other web accelerators, such as Squid, or Apache and nginx, which are primarily origin servers, Varnish was designed as an HTTP accelerator. Once installed, Varnish Cache allows us to use several apps to evaluate the server by means of statistics. These apps are the ones mentioned below. varnishtop: grouped list with the most usual entries from different logs. varnishhist: a histogram that shows the time taken for the requests processing. varnishsizes: it performs the same task as “varnishhist” but showing the size of the objects. varnishstat: it shows many contents on cache hits, resource consumption, etc..
varnishlog: it allows us to see all the requests made to the web backend server. You may need an operating system RHEL 7 or Centos 7 in your dedicated or vps server. Please make sure to set a hostname for your server and its dns is pointing to the IP address of the server. Update your server with latest packages. 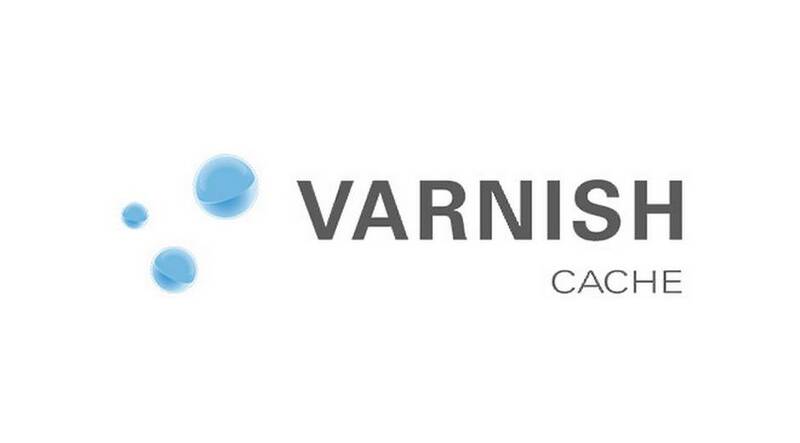 Now install varnish on Centos. Nagios runs periodic checks on user-specified resources and services. Hypertext Transfer Protocol (HTTP) and other common network protocols. A user-friendly Web-based graphical user interface is provided. An authorization system allows the administrator to restrict access as necessary. If you have a fresh server you should configure lamp stack on the same. By using wget utility we can retrieve files for the installation of latest version of Nagios. For a good practise download the files in to “/usr/local/src”. Download nagios plugins too. Nagios plugins allow you to monitor hosts, devices, services, protocols, and applications with Nagios. Change directory to “/usr/local/src” and extract nagios. change to the nagios directory then compile and install. Go to the directory /usr/local/src where you downloaded the nagios plugins, and extract it. Open nagios administrator console with URL http://nagios-server-ip/nagios and enter the username as “nagiosadmin” and its password which we created in the earlier steps. Now we can see home page of Nagios, there is an option “Hosts”on the left panel ,by clicking on that we can see hosts currently monitoring by the Nagios server. Here we can see that Host status and details of host. In left panel there is an option “Services” which shows that the current status of all services of the localhost. Now nagios server is ready to monitor so, the next step is to add Nagios clients to monitor, Here Ubuntu 15.10 server has been taken as nagios client. nrpe and nagios-plugins are need to add in our monitoring targets. Then add the nagios server IP to which nagios client should be listen. Here my nagios client ip is “138.201.3.28” and hostname arunima-ubuntu15 . We have just defined the monitoring host. Now, let us add some services of the monitoring host. Here i have added ssh, ftp and http services to monitor. Before adding services to monitor make sure that all are currently running in nagios client. Navigate your browser to http://IP-Address/nagios and enter the Username and Password then click “Hosts”, Here you can see the new linux host and status of services which has been added. PostgreSQL is an powerful open-source relational database management system that provides an implementation of the SQL querying language. phpPgAdmin is web-based client written in php for accessing and managing PostgreSQL databases. This article will help you to install PostgreSQL with phpPgAdmin on centos 7. Before installing it make sure you have Apache installed on server. Start the PostgreSQL service and make it to start automatically at every reboot. Create a user and database in PostgreSQL command line and itself. Also grant access to the database for the created user. Edit the file /etc/httpd/conf.d/phpPgAdmin.conf and make changes accordingly. Now open your browser and navigate to http://ip-address/phpPgAdmin. The PPR research team recently found a 0-day local privillege escalation vulnerability in the linux kernel. This vulnerability has existed since 2012. This bug is cased buy a reference leak in the keyrings facility. How to test My Kernel? You can use the following C code to test it. You can download the a full exploit from here. It will take around 30 to 40 minutes to finish the forking. Well as you know time is not an issue in privillege excalation exploit. After that upgrade your kernel version. There may be already a patch for the kernel in your OS. Apache Thrift is just a software framework written in C++. It was initially developed in 2007 by Facebook but now it is an Open Source project in Apache Software Foundation (ASF). The RPC is Remote Procedure Call is a type of protocol, requesting a service from one server to another server in a network using programs. Tt does not need any kind of network details for the whole process. In this article, We are going to install Apache Thrift. Thus we have completed installing the dependencies. Thus we have completed the installation of Apache Thrift. Short for Domain Name System (or Service or Server), an internet service that converts domain names into IP addresses. Domain names are much easier to remember than IP addresses. To configure the DNS server follow the below step. To create zone files as mentioned in /etc/named.conf, follow the steps below. Important: Please make sure that you replace ‘@’ with ‘inhouse.inc.’ in both the zone files. Now we need to check the reverse zone. Now you can test the DNS server using the following commands. Testing with any one of the command is fine. To configure slave DNS server follow the below step. Make sure it contains the following lines. If not, add them. Now test the DNS server using the following commands. Testing with any one of the command is fine. BIND includes a utility called rndc which allows command line administration of the named daemon from the localhost or a remote host. You can now reload rndc on both servers.